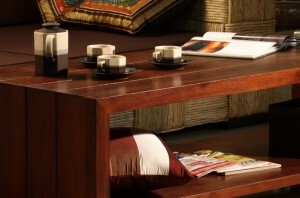 Wood furniture adds warmth to any home, but it requires care if it is to look its best. We asked local experts for some tips. Irene Carlson, proprietor of Arguz Antiques and a teacher of classes in refinishing and wood care, says good everyday care starts with avoiding careless acts. Hot drinks, wet glasses and plant pots will leave marks, so it’s a good idea to put something between them and the wood. If you accidentally put a wet glass on a table, wipe it up immediately. Harry Nixon is one of a rare breed of wood furniture refinishers who specialize in eighteenth-century European pieces. He deals largely with solid mahogany, oak and walnut that has been “French polished.” This is a technique involving a mixture of shellac, alcohol and linseed oil, applied in a long, painstaking process to create a high lustre. French-polished pieces are more susceptible to water stains than those finished with urethane and lacquer, and Mr. Nixon says it’s important to know what type of finish has been used on your wood furniture. William Jackson, owner of The Paisley Shop and an importer of Georgian furniture, reminds customers that it is crucial to maintain at least 40 per cent humidity in the house. “If you are investing in a good-quality object, it will only remain in the best possible condition with proper humidification. The introduction of central heating in Europe during the last 20 years has created some horrendous problems that were never previously encountered.” A good way to remove dirt from wood furniture, according to Harry Nixon, is to use a mixture of vinegar and water. Mr. Jackson adds that “it doesn’t do any harm even to wipe off a dining room table with a slightly damp cloth, then with a dry cloth to absorb the moisture, every time it has been used.” Mr. Nixon says any buildup of wax on an old piece can be removed using a solution of a tablespoon of washing soda in a quart of warm water. Be careful not to use too much soda or it will take the finish off the wood. Once the old wax is removed, he recommends an application of “Minwax,” available in some hardware stores. Mr. Jackson, too, suggests waxing at least once a year, preferably before winter, to protect the wood from dryness. He endorses antique wax, which can be purchased from an antique dealer, or “a good paste wax, not a spray wax or oils, which are not acceptable in our business.” Even good neutral shoe polish works very well. “Wax should be used very sparingly. People tend to put too much on and then not take it off again. You should really wax running with the grain of the wood and in an area about 24 inches square at a time. Then take it off with a soft cloth, and use another to give it a final buffing: a cloth diaper is ideal, but not the disposable kind]” Irene Carlson uses and sells a wood furniture wax made from a recipe she got from her father, who is now 74 years old. It costs $8.95 for a one-pound tin, and can be used for finishing or regular use. She applies it with light pressure, using super fine steel wool, buffing to a mirror finish. “Lemon oil won’t harm your wood furniture, but it won’t help it,” she says. “It just sits on the surface and does very little.” Sunlight can be a hazard. “On a very hot day you should at least pull the curtains. The sun coming through a window will magnify the heat to an intensity that will almost fry off the finishing, giving it a scaly, heavy effect,” explains Mr. Jackson. Irene Carlson adds that direct sunlight will darken some wood, although wax can help protect it.